Have you had a long layover in Kuala Lumpur? You might face long layover at Kuala Lumpur International Airport (KLIA). So instead of getting bored, you can make the best use of your time at the airport itself. Even you can go for Kuala Lumpur city tour if you have the visa. But all depends on your type of visa and the timings of your next destination. Be sure about everything first before starting to spend your long layover time. 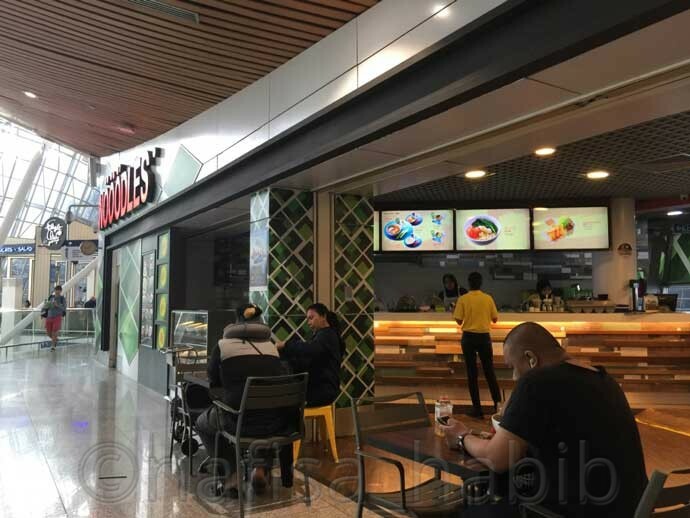 This post is to help you out to make the most of your 12-hour layover at Kuala Lumpur International Airport in Kuala Lumpur, Malaysia. 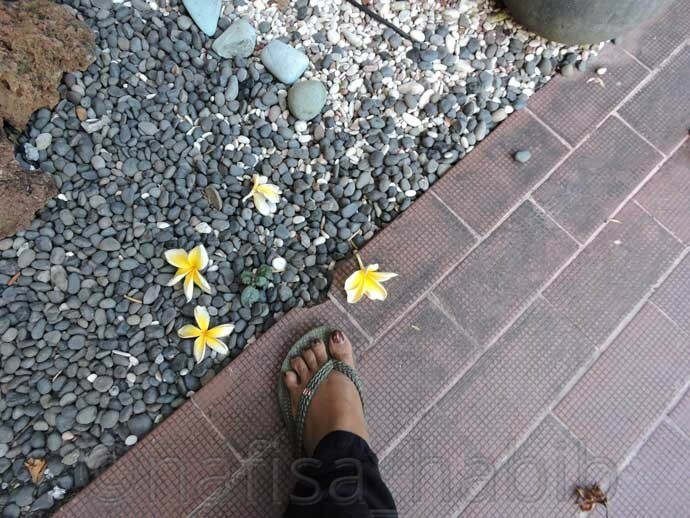 For traveling Bali from Dhaka, I had to face 12-hour layover at KLIA. In the early morning (7 am) I reached Kuala Lumpur. Same day evening 6 pm I had the flight for Bali with Malindo Air. As I traveled by the same airlines from Dhaka, so I didn’t keep my luggage with me except the hand luggage. I had the single-entry visa for Kuala Lumpur. 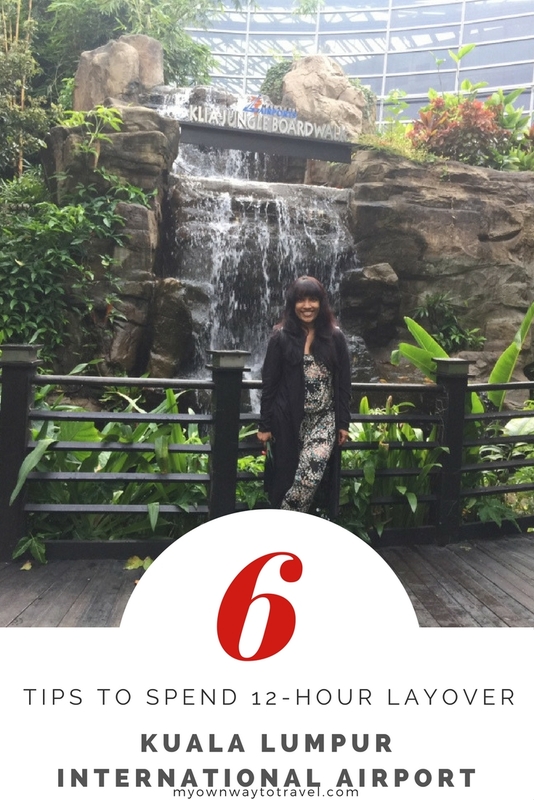 I wanted to visit Kuala Lumpur after my solo trip to Bali. And so I spent this long layover at the airport only. There are many smart facilities and services available at KLIA official website. Here are the 6 tips to spend 12-hour layover at Kuala Lumpur International Airport or in Kuala Lumpur city. To make the most of your 12-hour layover at first, you should go to the information counter of KLIA airport. If your type of visa supports you to leave the airport during layover time, then you can explore Kuala Lumpur city. So collect all information properly from the airport information counter. Take city travel information, check airport car rental or taxi availability to roam around the city. If you’re facing 24-hour layover, then check your respective airlines whether they are providing hotel room or not. You can take the airport hotel service as well. Else you can keep your luggage at the airport locker and after facing immigration and customs start exploring the city. However be at the airport on time at least 2-hour before to catch your next international flight. There are many standard lounges to take rest for some hours at Kuala Lumpur International Airport. To be refreshed and relaxed after a long journey better to check first some lounges at the airport. Some offer different packages through the airlines, and complimentary food, TV and internet facilities are there. You can also take Massage and Spa services from Rest, Relax, Reflex and Wellness Spa. You can enjoy your favorite movies at the Movie Lounge. Both airports Kuala Lumpur International Airport (KLIA) and Kuala Lumpur International Airport 2 (KLIA2) also offers different hotel facilities to stay even for short times and also long layover. Airport hotel services are better to take for all kind of travelers. At KLIA2 airport for budget travelers and backpackers Tune Hotel and Capsule by Container Hotel are best. 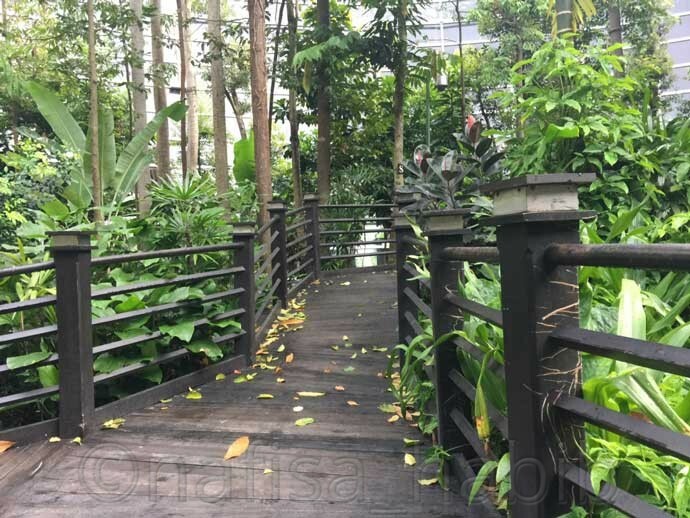 Jungle Boardwalk, a beautiful walkway at KLIA Satellite Terminal and free for all. You’ll enjoy a walk here during day hour with the backdrop of lush greeneries and waterfall. The sound of the waterfalls is enchanting and don’t forget to photograph. There are many food courts, cafes and restaurants to taste many cuisines. You might like to dine or breakfast at an airport restaurant. How about tasting Asian food or local delicacy? 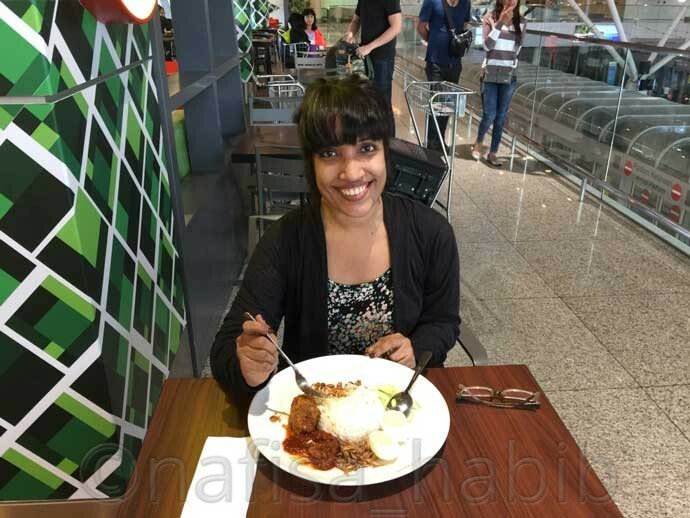 I loved to taste for the first time Nasi Lemak for breakfast from Nööödles Restaurant. A full mug of coffee from Starbucks Coffee while accessing free Wi-Fi is also not a bad idea to spend your relaxing time at KLIA. Exploring many duty-free shops can be the best option to spend your long layover at Kuala Lumpur International Airport. 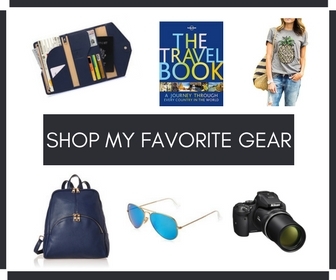 You can enjoy duty-free shopping from many local and international brands. 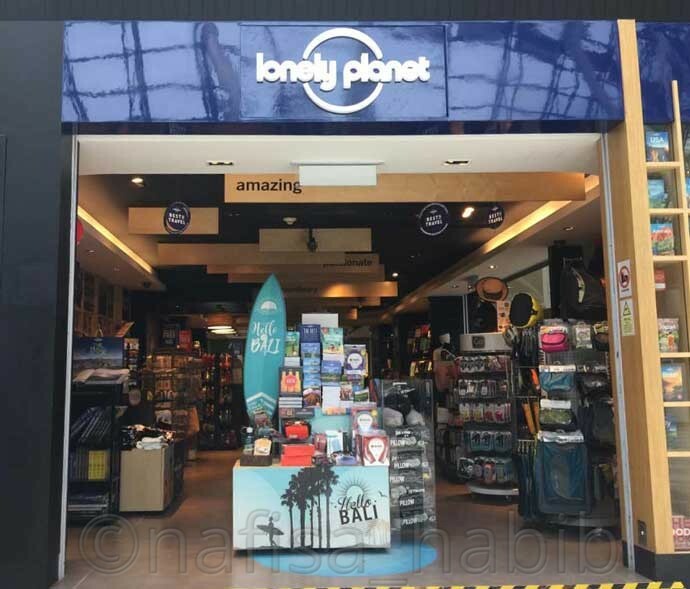 I enjoyed to check many travel essentials from Lonely Planet and bought lifestyle fashion accessories from some international brand shops. Totally loved the flip-flops collections at Billabong. I bought one and was the perfect match to use in Bali sandy beaches. You could leave the airport if you got enough time with you, better to explore Kuala Lumpur city and visit popular tourist attractions around. The best option is to take the airport car rental service to move to nearby top destinations in the city. Kuala Lumpur city center is 28 miles away from Kuala Lumpur International Airport. Some popular places to visit in Kuala Lumpur are Petronas Twin Towers, KL Tower, Merdeka Square, Petaling Street, Central Market. But traffic is more in Kuala Lumpur so keep in mind not to miss the flight. Also, remember to come back airport on time after your Kuala Lumpur layover tour. I spent 12-hour layover at Kuala Lumpur International Airport itself. Mostly explore many duty-free shops and bought some international brand items. I took flip-flop from Billabong, Coach sunglass from Sunglass Hut, and black sneaker and bag from Charles & Keith. I really enjoyed the first time shopping from the airport and it was the real-time pass. Overall I explore KLIA from A to Z. Furthermore, I took the full access to free Wi-Fi service from the airport for Instagramming and Facebooking. And Jungle Boardwalking at KLIA Jungle Boardwalk was interesting. I enjoyed eating, and sometimes reading and checked some travel magazines related to Bali. Also, it was a bit boring but was excited to catch the flight to Bali for the first time. In conclusion of my layover tour took the aerotrain service to reach Terminal M to fly with Malindo Air. 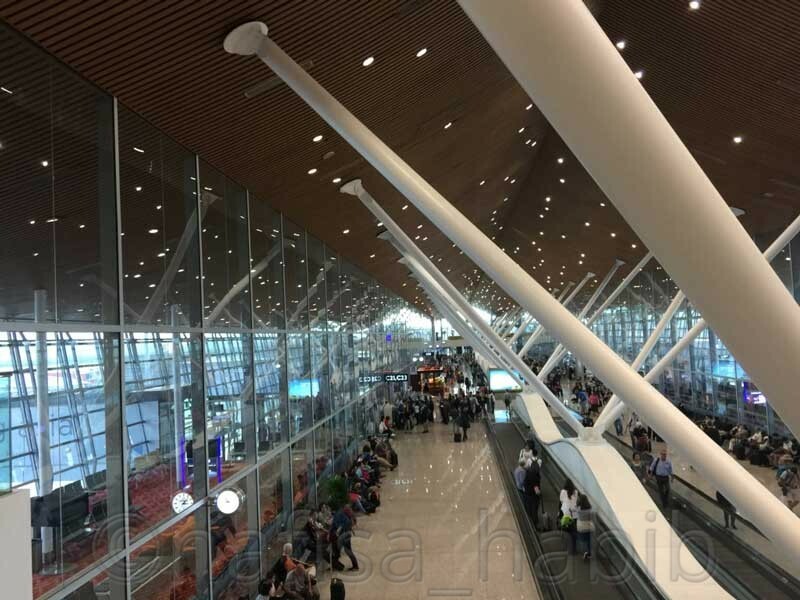 How about knowing a bit more about KLIA from Malaysian travel blogger Wayne Liew? He loves traveling and shares his experiences as well. His ultimate travel guide on Kuala Lumpur International Airport (KLIA) will definitely guide you to get all information of KLIA. 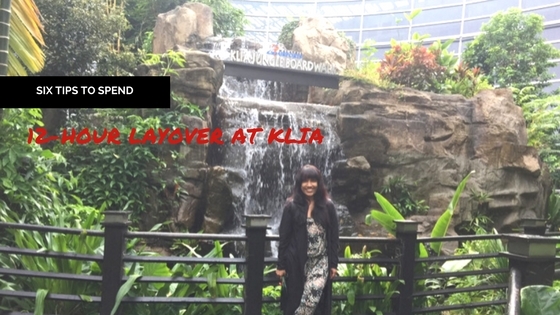 Have you experienced long layover at Kuala Lumpur International Airport (KLIA)? Comment below to share your suggestions and tips. Fantastic blog! I have always found layovers such a waste of time! This is such a good use of that time. I loved reading your experience and hope to try these on my own someday. What a wonderful post! I’ll be exploring Asia for the first time this summer and I cannot wait it. I’ll be flying from Bali to Osaka via KL. I’ll definitely check out those waterfalls and lounges while there! Thanks for this interesting post! There is actually so much to do there! The capsule transit hotel lets u book 6,8 or 12 hours. There was also a gym that is free of charge, 10 mins walk from KLIA. I also spent around 3 hours shopping at the Mitsui outlet mall! I made a video about how I spent my time there!